Globally everyone is either administrator or user. Administrators have unlimited access to all settings and are able to install all applications. They are able to invite and delete employees (portal users), set their rights. Users can not see portal settings, they exclusively see information which portal administrators make visible to them. Here we tell how to do it. Portal creator in Flowlu is an administrator by default. Others invited are users by default. You can assign everyone as an administrator. To do it, go to user list. You can find employee you need and activate option in Administrator access column. 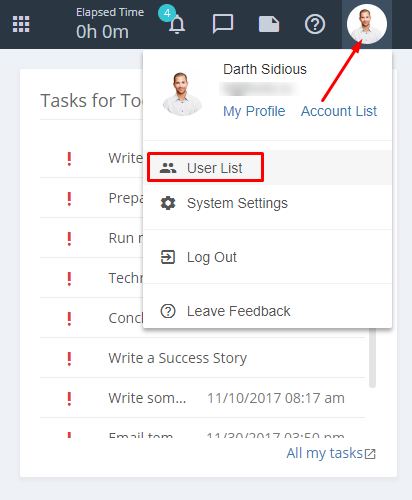 You can assign any number of users as administrators. You can also block administrator rights of any user. keyboard_arrow_left How to set access rights to employees?